Garmin GT51M-TH 12-Pin 600W CHIRP (Mid-Band CHIRP 80-160kHz) and 500W (CHIRP 260/455kHz) ClearVu/SideVu Thru-Hull Transducer. Built-In Temperature Sensor. Compatible with Garmin GPSMAP 7600xsv Series and GSD25. Designed for boats with less than a 5 degree deadrise. 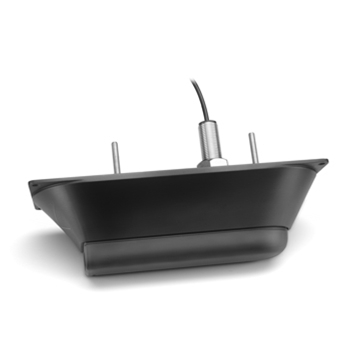 The GT51M-TH is a stainless steel through hull transducer with fairing block that is good for boats with a deadrise of up to 5 degrees. 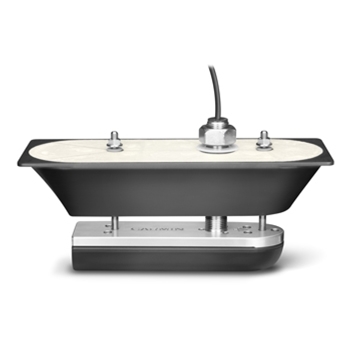 This transducer provides ClearVu/Sidevu and traditional CHIRP and has been optimized to provide you with the best picture of what is below or to the side of your boat in rough conditions. The GT51 M-TH will provide 500 watts of power when using SideVu/ClearVu and 600 w of power in traditional CHIRP sonar in the mid-range band of 80-160 kHz. This through hull transducer has a 12 pin connector and is made from stainless steel so if you have a metal boat and want ClearVu/SideVu and CHIRP this transducer mates well with Garmin’s XSV series of chartplotters/fishfinders, and GSD 25 Sonar Module - 12 Pin Connection. Garmin 10 foot transducer extension cable for GCV10 / 12-Pin DownVu/SideVu Transducers. Garmin 30 foot transducer extension cable for GCV10 / 12-Pin DownVu/SideVu Transducer.